Look guys (and gals? ), the backup list is not infinite. I closed the preorders for a reason – there are only so many GDEMU units to be made in this run and that’s it. One person asks for my mail and a day later I get more than 20 late preorders. And this is in addition to the people already on the list. I got a bit of a house remodeling going on right now, this will last up to 2 weeks. Thanks to that the cold I caught has gotten worse and now I’m pretty much ouf ot action. This week is probably not going to be very productive. Also, I’m not checking my gmail as often now. So, with all that in mind, I’m going to change the payment and shipping rules a bit, at least for now. So far I’ve only send payment request when I had something to sell packed away in a box, or I knew it could be ready in few hours. This approach has a drawback I already explained – if people are late with answering (or worse, don’t answer at all), you all have to wait more for your turn. From now on I will issue more requests then I have units ready, this will allow for faster shipping at the risk of some of you having to wait up to a week or so between paying and shipping. If you’re unhappy with it I can always return the money instead, all you need is ask. One last thing – I’ve been asked, again, to host or join a forum. I don’t do that. There’re a lot of people out there with good ideas (or what they think are good ideas) but zero knowledge and/or experience, coupled with even shorter temper than I have, not to mention poor communication skills. So basically it’s an explosive mixture, and the fireworks are fun but a waste of time. In other words, I could be spending time on forums, or I could be working on my projects. Take your pick. Black PCB will be available soon. I’m sorry but there is no choice of what you’ll get – unless you ordered 2 units and received only 1 so far, but in that case you got my mail and decided already. 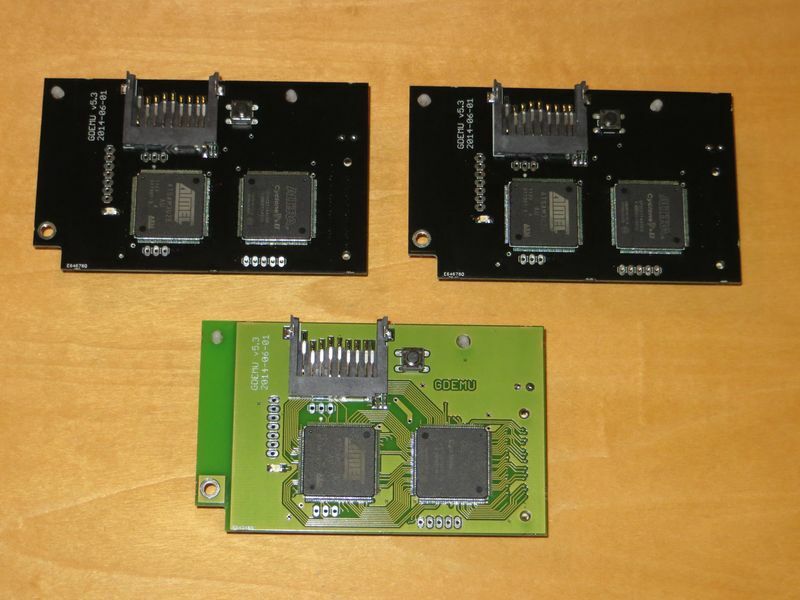 Other than PCB mask color the units are identical, all v5.3 models. I’ve resumed shipping but after this unplanned pause people stopped checking their mail and/or PayPal account and respond only after a few days – which means I’m sitting on a bunch of units but can’t sell to another person until a week passes, since obviously I need to give the original buyer some time to act. This is partly my fault to begin with so again, I apologise. I’m about 50% done but I’ve ordered some more PCBs and parts to try and cover all the backup list entries.